In this issue of Wanderlust Travel Magazine : Some call it the ultimate travel bible, others love it for the incredible photography, while Bill Bryson declared: "There simply isn't a better magazine for the serious traveller." 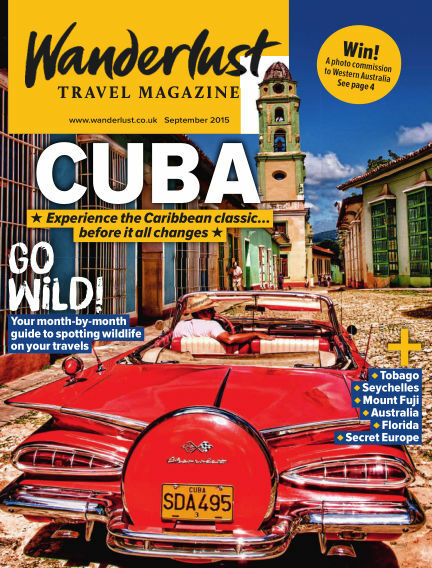 Since 1993, Wanderlust magazine has been helping discerning travellers escape the crowds and seek out the most unique cultures, wildlife and activities around the globe. Offering a unique mix of inspiration and practical advice, this is the ultimate magazine for independent-minded, curious travellers. With Readly you can read Wanderlust Travel Magazine (issue September 2015) and thousands of other magazines on your tablet and smartphone. Get access to all with just one subscription. New releases and back issues – all included.